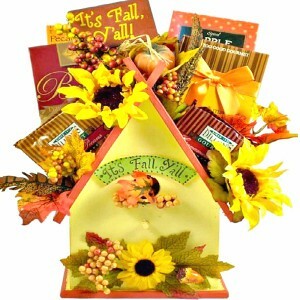 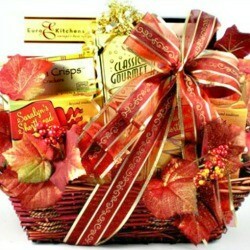 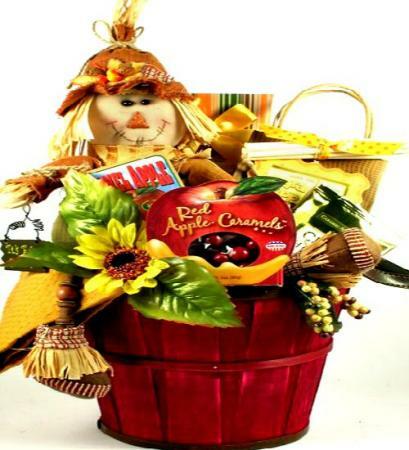 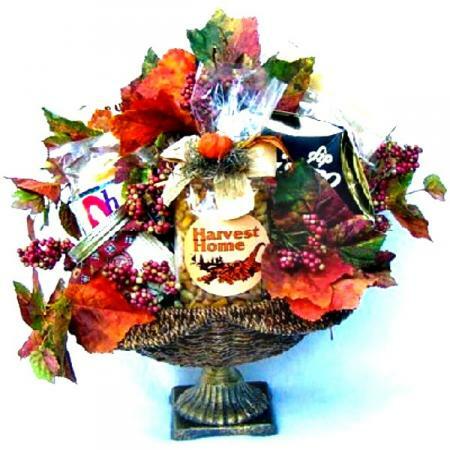 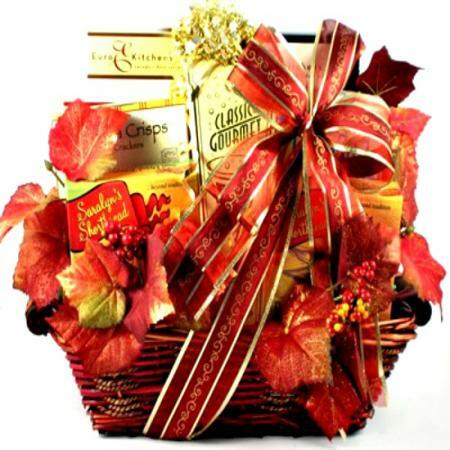 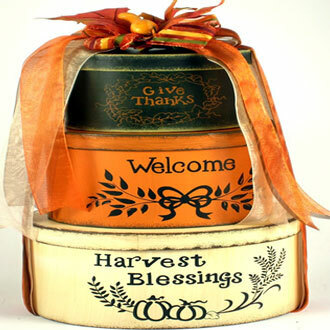 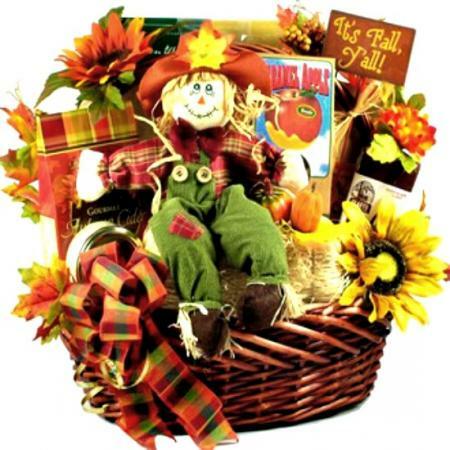 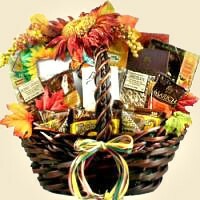 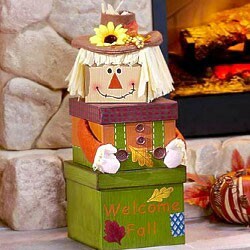 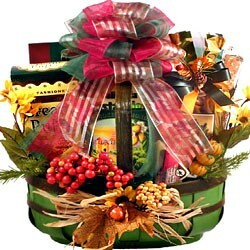 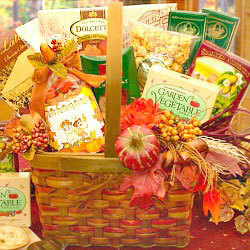 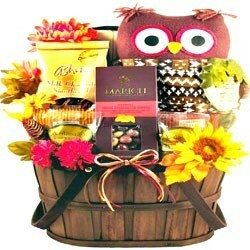 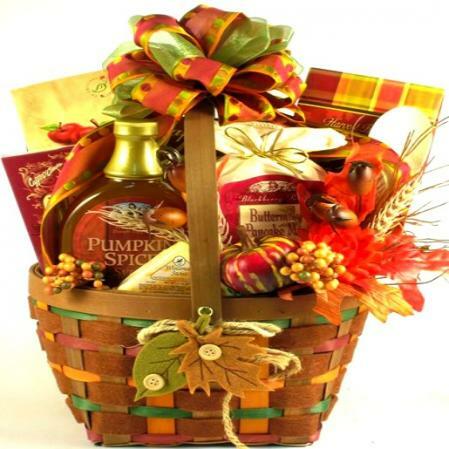 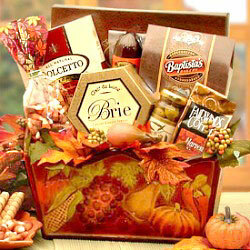 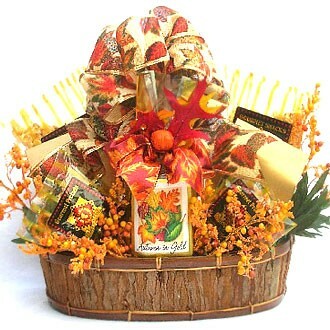 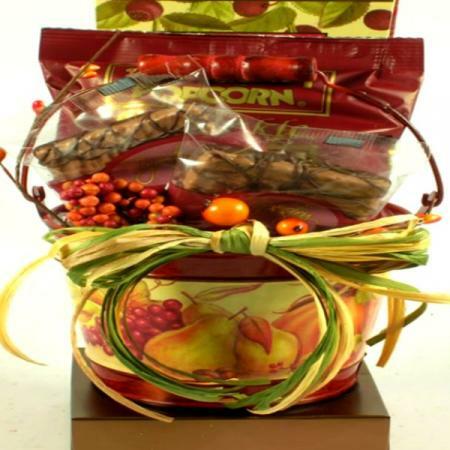 Send this golden Fall gift basket set in a rustic planter and trimmed with Autumn enhancements. 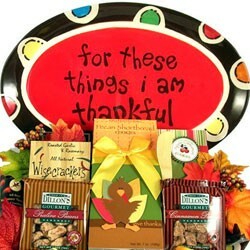 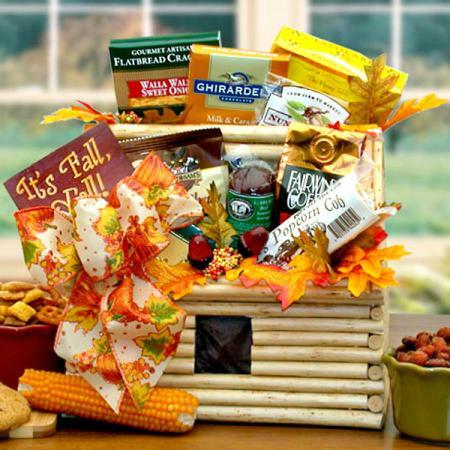 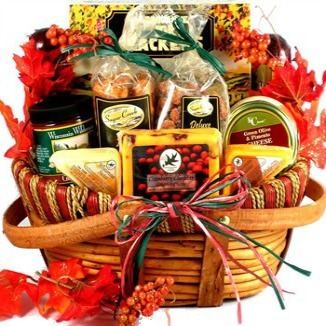 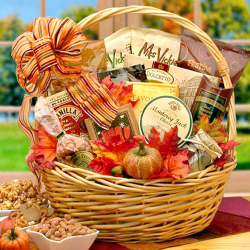 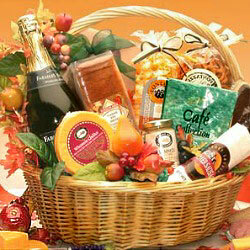 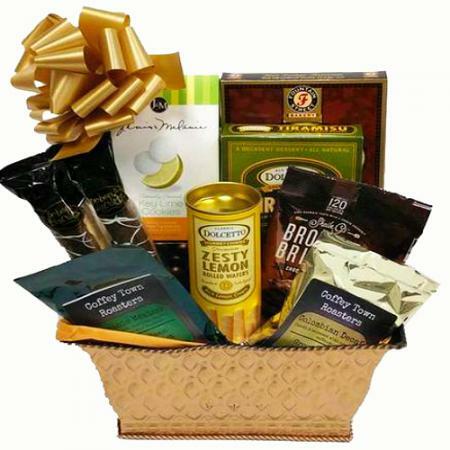 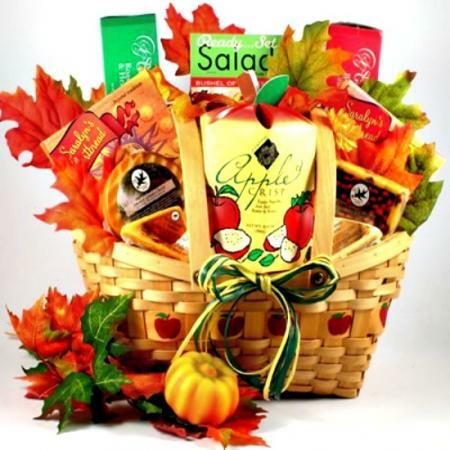 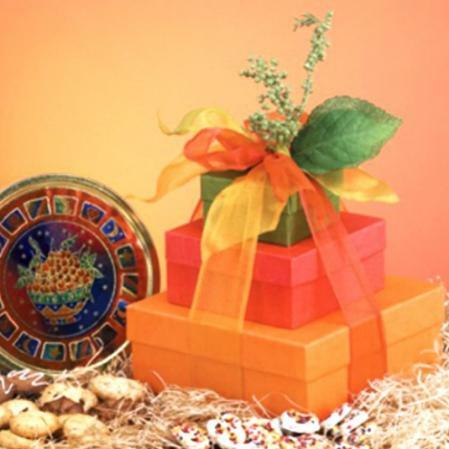 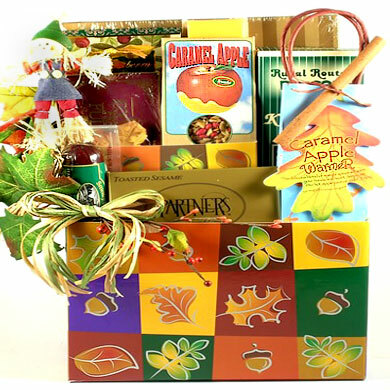 A gift basket that is rich with Fall flavor and flair. 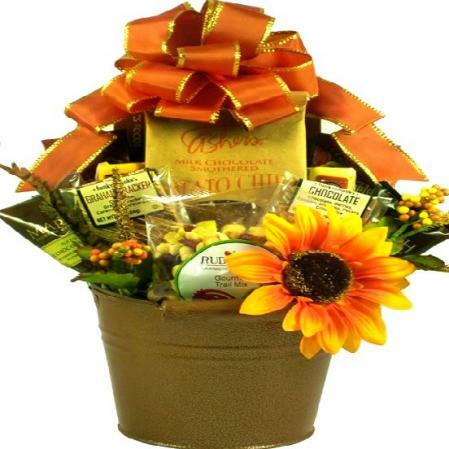 They will feel like they have struck gold when they receive this beauty. 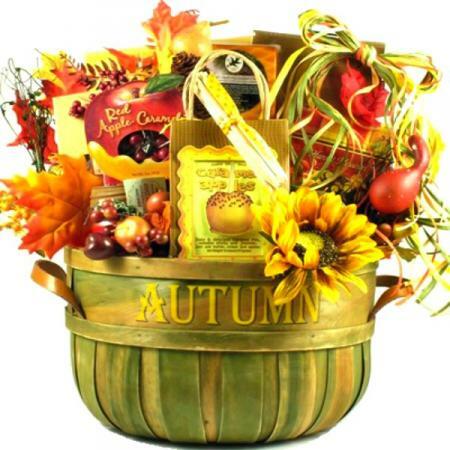 Set in a rustic planter and trimmed with autumn enhancements, this gift basket is rich with Fall flavor and flair. 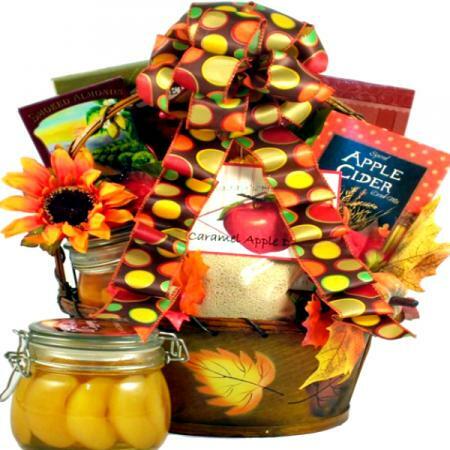 Fall gift basket includes ìAutumn In Goldî gourmet Cocktail mix, delicious Caramel Apple Nut Mix, Amaretto Almond Cookies, Chocolate Chip Pecan Cookies, Cream Puff Cookies, Cranberry Bark, gourmet Caramel Corn and Caramel Apple Cider Mix.